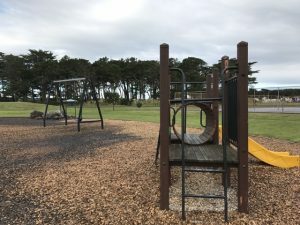 This playground lies right in the centre of Foxton Beach and is a real hub for families in the settlement. The playground itself has equipment for all ages. There are seesaws, swings, slides (including a smaller one for preschoolers), ropes for walking along, a very wobbly bridge, wooden posts for balancing on and a tunnel. The playground is surrounded by grass for kite flying, ball games, tag etc and there’s a picnic table and big old trees if you need shade. 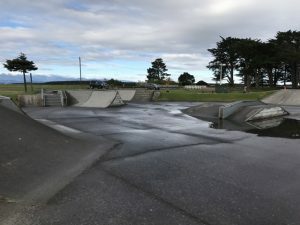 There are tennis courts to one side and a decent sized skatepark to the other side – close enough that a child there, could call out to an adult supervising another child at the playground, so long as it wasn’t too crowded! You could grab a takeaway coffee and snack from Little White Rabbit or take a picnic with you. There are toilets and car parking although there are also walkways which bisect the playground to the north and south which are suitable for scooters, bikes and buggies. 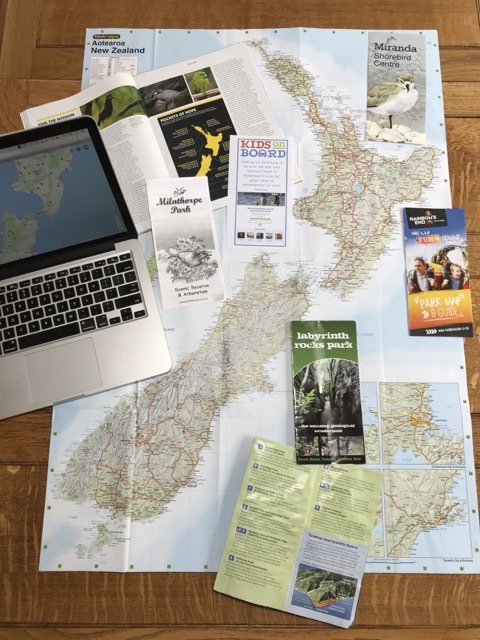 See here for further info on walking/cycling in Foxton. Address: The playground is between Seabury Ave and Holben Parade with parking just off both streets.